NetApp 7-Mode or Clustered Data ONTAP? 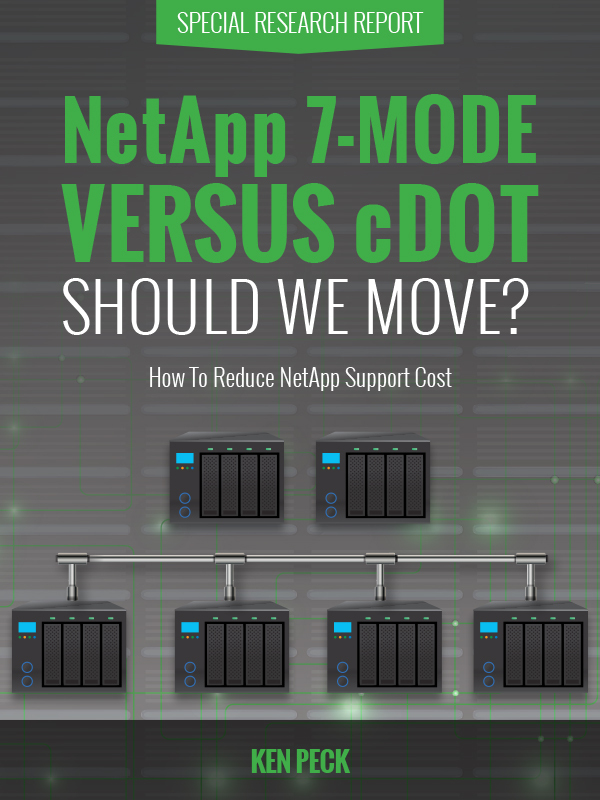 What Should You Choose: NetApp 7-Mode or Clustered Data ONTAP? Find out the key questions you need to be asking and a course of action that will work for you. For more than 20 years, the basic operating system for NetApp Enterprise Storage Solutions has been the 7-Mode (also now known as ONTAP Traditional or 7G). About ten years ago, NetApp developed an enhanced version of ONTAP called Clustered Data ONTAP or cDOT. It’s a much more complex operating system, and original versions did not include several functionalities of the tried and true 7-Mode. What are the risks of staying with 7-Mode for the next several years? What are the rewards? Is this even a reasonable option? Do you need a more robust storage architecture to meet the needs of your business? Want to avoid costly upgrades, maintenance problems, and CIO headaches? This 18-page special report is a must-read.